What makes you click? At the most fundamental level—in the inner part of your cells—this clicking sound is known as coenzyme Q10. 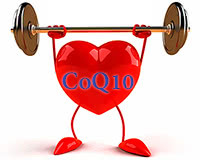 Coenzyme Q10 is needed in order to release energy inside of your cells. Without it, you hit a brick wall and come to a halt. The high frequency of magnesium deficiency witnessed in those who suffer from migraines is deeply rooted in research.